The wine region of the Western Cape is in my opinion, the most underrated wine region of the world. It’s not undiscovered by any means, but it is lost in the shadows of places like France, Italy, Mendoza, and Napa Valley. I can safely say that Cape Town’s wine region is more stunning than all of the aforementioned, not to mention a hell of a lot cheaper with wine tastings that average R40. For those visiting South Africa, a visit to the wine region is an absolute must. I’ve visited many more wine farms than what I will list below so make sure to read about all of the wine farms I’ve visited in Cape Town. 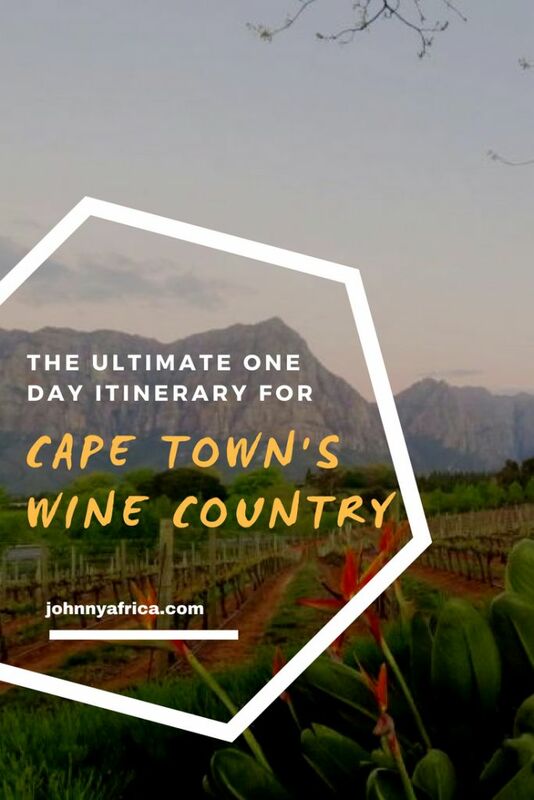 While I’d highly recommend a few nights stay in the fabulous wine country, not everyone has the time so I’ve come up with the ultimate one to two day wine tour for those looking to do day trips from Cape Town. Although I’d like to think I’m a sommelier at heart, I am mostly just an amateur that likes to drink wine. Almost all the wine I’ve had during my time in South Africa is great, I’m just focused on which wineries (they’re called wine farms in South Africa), are the most stunning and picturesque. Thankfully, modern technology has introduced Uber to wine enthusiasts. Nowadays, there’s no reason to drive yourself anymore when there are Ubers readily available all over Cape Town and the wine regions. An Uber from Cape Town to Stellenbosch city is R300-400 which split between two or three people is worth not having to deal with South African police. Ubers are readily available for pickups in between wine farms. 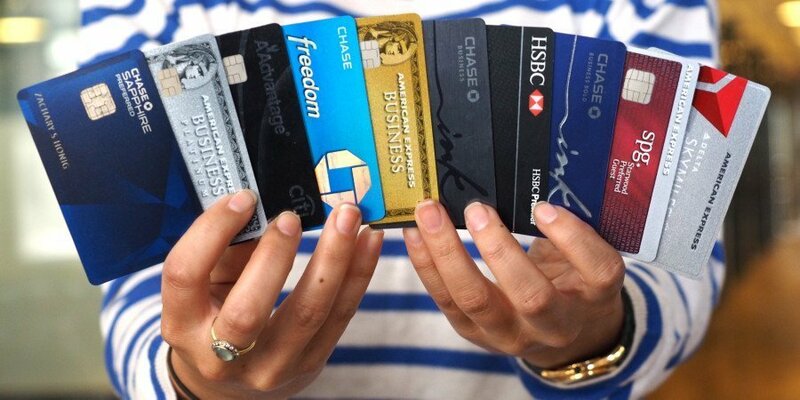 It should be easy to have a solid day on under R1,000 for transportation. Of course, some cab drivers will negotiate and you may be able to hire a driver for the entire day for around that same price. Everyone is different when it comes to what they enjoy and how they like to enjoy a wine tasting. My itinerary might be bit rushed for some, and too slow for others. Nevertheless, there are SO many beautiful wine farms to choose from and this is just one of thousands of combinations you can make. I’m not here to lecture on wine, but merely offer an itinerary for the average person to enjoy the wine country as I would. This is also great if you’re looking to honeymoon in South Africa and can only visit the wine region for a day. Leave early from Cape Town. The Wine regions open around 9am so you’ll want to leave by 8:30am to get a full day in. 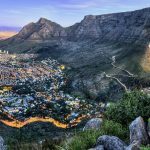 It takes roughly 30 minutes to get from downtown Cape Town to the first place. One of many views from the car ride coming from Cape Town. Start your day with one of the oldest and most beautiful wine farms in South Africa. 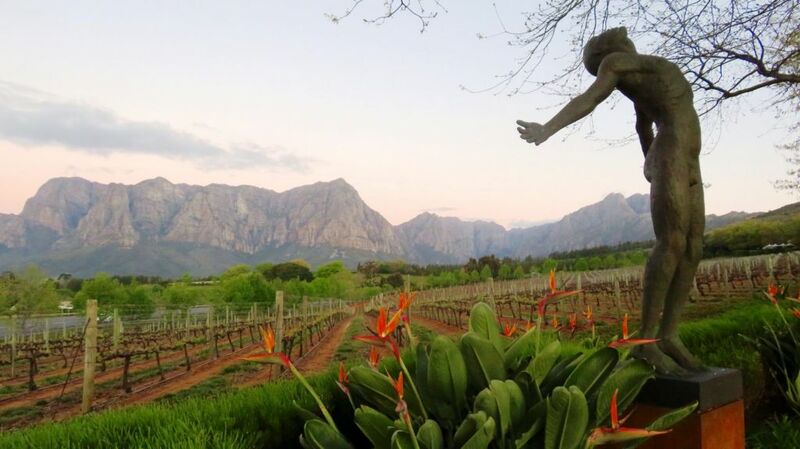 Vergelegen is amongst South Africa’s top wine producers. 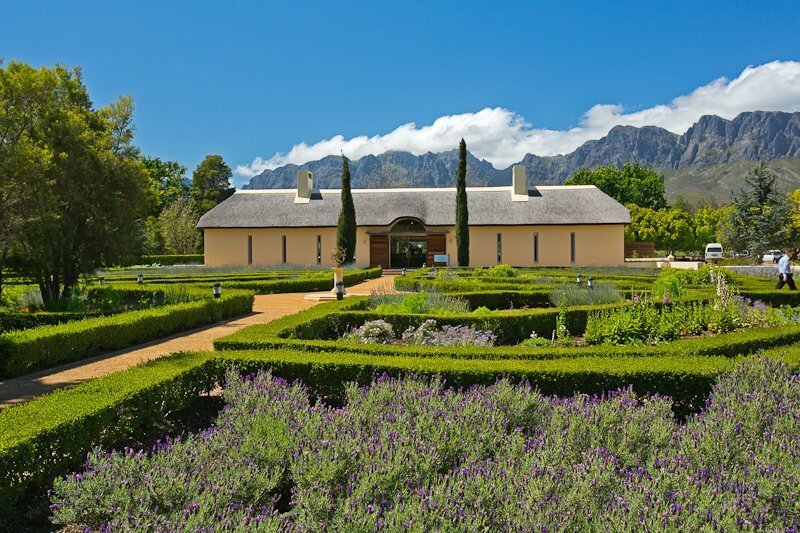 Located in Somerset West, this wine farm offers world-class wines at the modern tasting center, and informal diving at the Stebles bistro, and fine dining at The Camphors signature restaurant. Located next door to Vergelegen, Morgenster is famous for its wine as well as olive oil production. 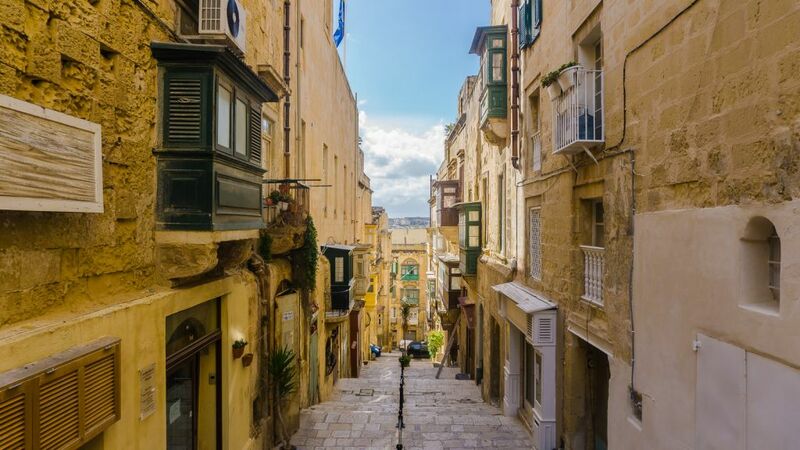 If you’re a big fan of olives, olive oil, and olive oil & bread, this is the perfect place. They offer wine tastings with olive oil pairings, which can perfectly together. The views from the front porch where you have your tastings is absolutely breathtaking as well. Make sure to try the truffle olive oil! 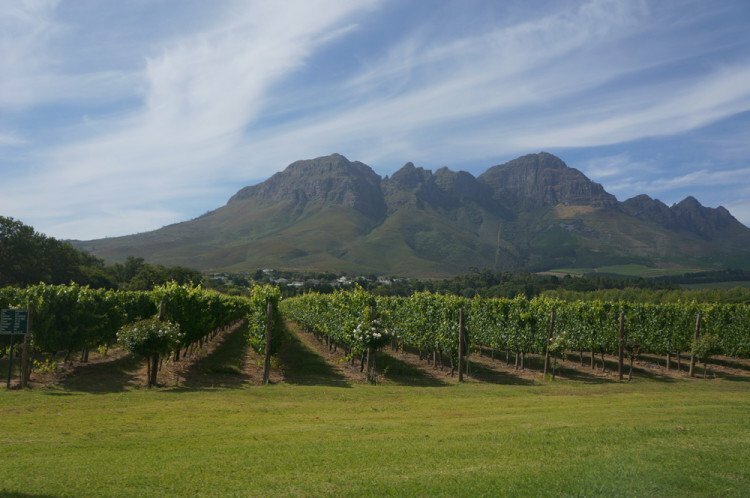 Staying within Somerset West, the next stop is Waterkloof Wine Estate. This is one of the most picturesque and stunning wine farms I’ve ever been to. 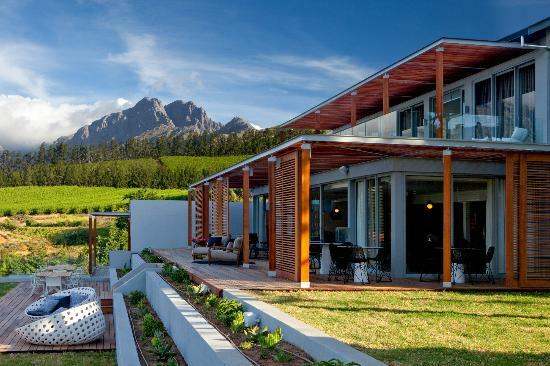 The wine farm is perched at the top of a hill with panoramic views of False Bay from its modern, yet classy interior. Have lunch here at their award winning restaurant offering some of the best South African fare in the area. 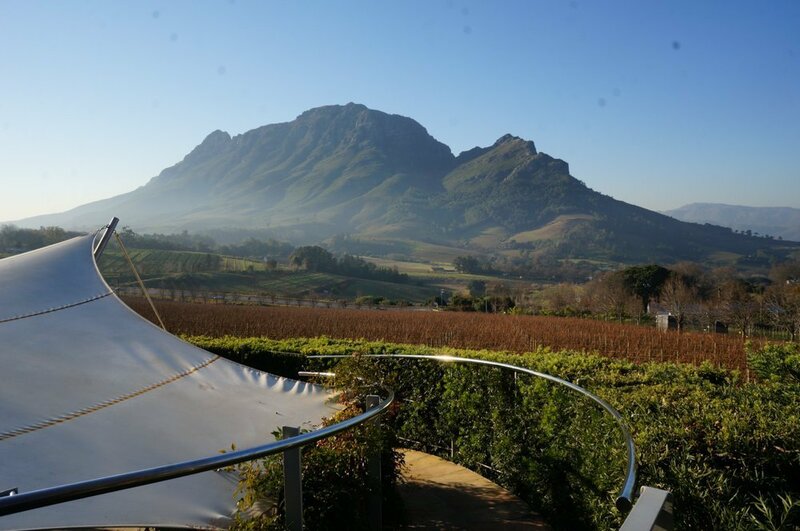 From Waterkloof, take another Uber further into the mountains of Stellenbosch to Tokara wine estate on the Helshoogte pass. 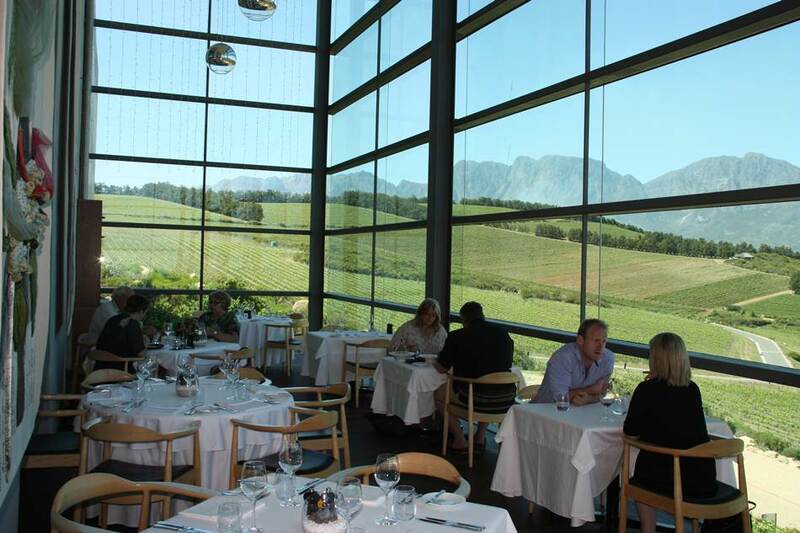 The wine at Tokara is consistent winners of numerous wine awards and the best part? The tastings are 100% free. The views are also quite incredible as well. 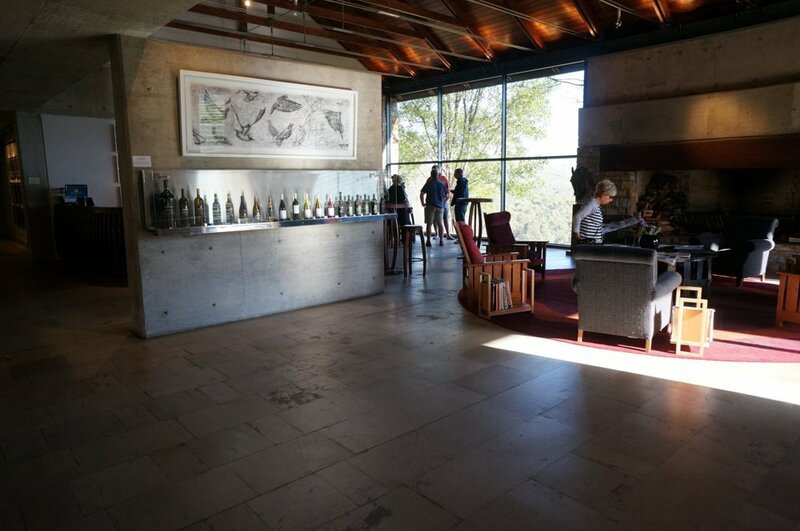 Tasting Room in Tokara Wine estate. Free tastings here! Saving the most stunning for last, Delaire Graff wine estate is in my opinion the most stunning of the many wine farms I visited in South Africa, and in the world. The views of the mountains and vines from their massive estate is nothing short of breath-taking. Their wine is some of the best I’ve had, and their restaurants are consistently rated as some of the best in South Africa. They also have a luxury hotel here (for those that can afford it), as well as a diamond store. If you need to impress someone other than yourself, this is the best place to do it in my opinion. The estate is very large and this is just one of the few places you can enjoy your wine with a view. Delaire Graff stays open later than most of the wine farms in the area. Nevertheless, 6pm is likely the latest the tasting rooms will be open so now will be the time to return to Cape Town fully knowing you need to come back asap (Perhaps the next day). 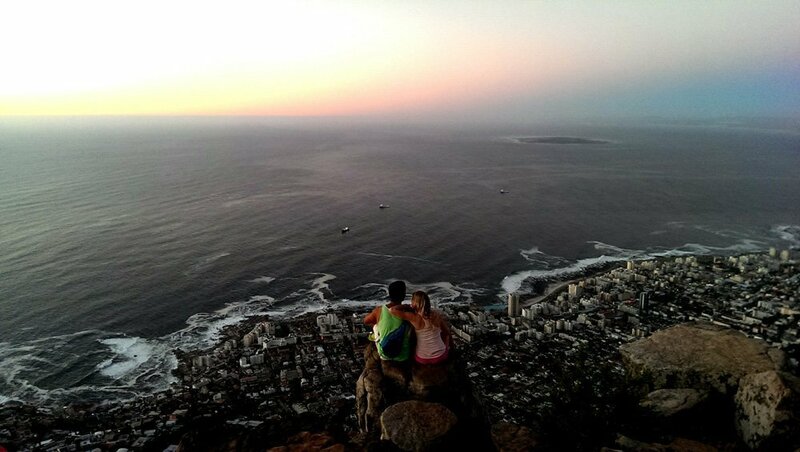 When you’re back in Cape Town, finish the day with a hike up Lions Head. Enjoy one of Africa’s best views and sunsets with a bottle from your favorite wine farm of the day. Doesn’t get much better than this. 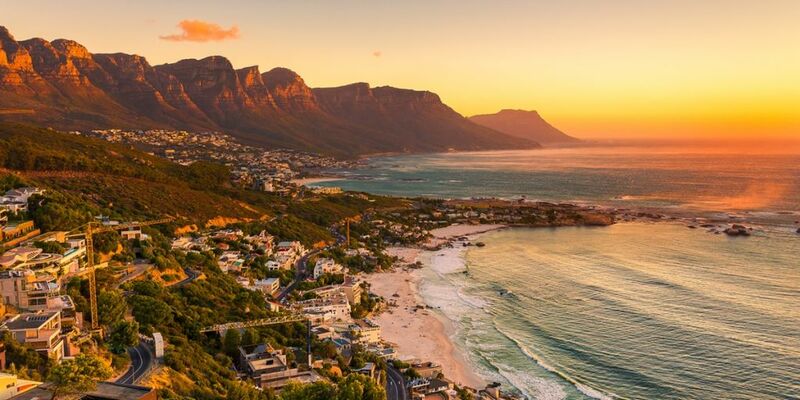 If you’re traveling in the summer, you’ll have enough time to head back and hike Lions Head for this fantastic view. Of course, that might be a terrible idea depending on how involved you became in the wine tastings! The only thing better than a day in South Africa’s wine country is two days. For those that can swing it (and I still highly recommend it), is to spend one day in Stellenbosch, stay in Stellenbosch for the evening, and then make your way to Franschhoek the next day. 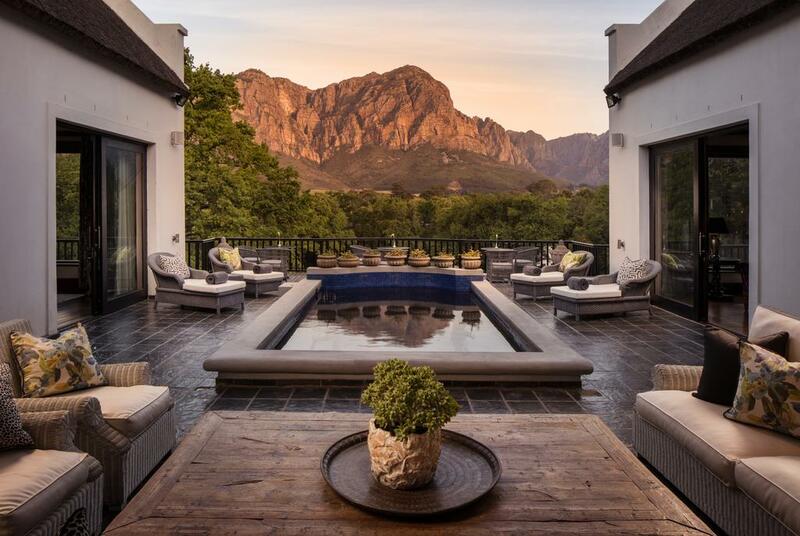 There are countless places to stay in the Stellenbosch area from guesthouses in Stellenbosch town to the numerous wine farms that also have lodging. If you’d like to treat yourselves, I’d highly recommend a one night stay at the Clouds Estate, which is conveniently located to Delaire Graff, the last wine farm on the itinerary from above. It’s hands down my favorite and most memorable stay in Stellenbosch. While I stayed here for a few nights (which I can also recommend), one night is better than nothing. Prices generally range from R2,000 to R3,500 depending on the time of year and rates all include an amazing breakfast overlooking the mountains. The wine here is also fantastic so it makes for a great place to start your day of wine tasting! Views of the mountains from Clouds Estate. You may have a hard time making it to your next destination. Other options I can recommend are also near the Helsghoote Pass which I find to have the most stunning views of the region. 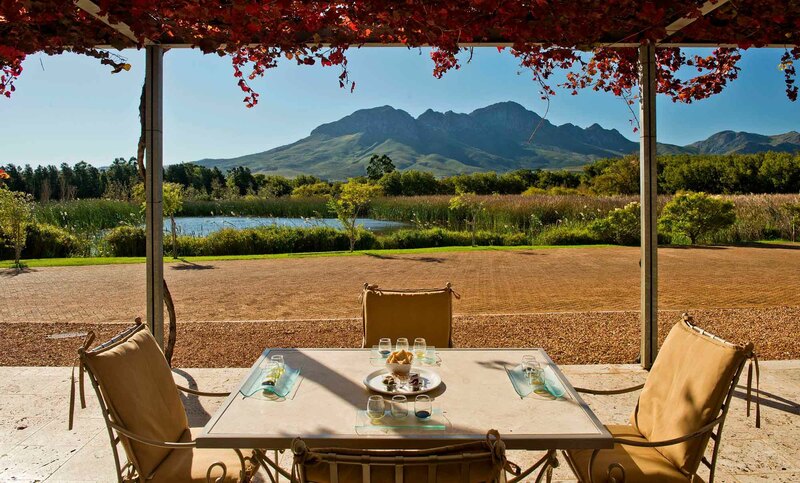 Molenvliet and Banhoek lodge are also fantastic options in the heart of this area with spectacular views. 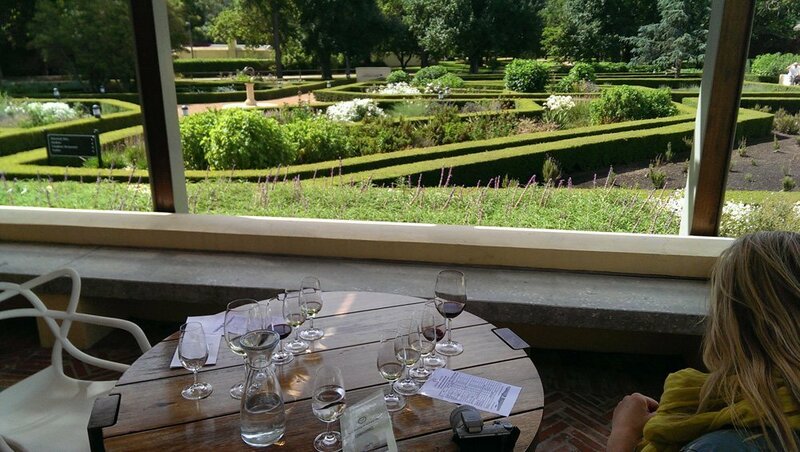 We like your one day wine tour itinerary except we would like to have lunch at Delaire Graff – we would like to do this on Sa turday/16March – it will be for 2 adults(my wife and I)……Will you be available a nd how much is your total fee for the whole day? Hi Keith, I am not a travel agent or tour guide. Maybe some day! Enjoy your lunch! We are looking at following your itinerary for the wine tour. A quick few questions! Do you need to book in advance at any of these places? Is it possible to get a tram or do you suggest just getting an uber? Is it possible to hire bikes when you get there or is it too far? Is 4 the maximum number of places you suggest to fit into a day? Are there any dress codes?! Hi Rachel! Nope you don’t need to book any tastings unlike places like Napa Valley. For lunch it may be a good idea to book ahead of time during high season months. There is a tram in franshooek thay is a lot of fun and that id recommend. Otherwise just uber from place to place. Never hired bikes before and have not seen bikers much. Wine farms are too far from each other. No dress codes in any places I’ve been to at all. Hi! Im planning to follow your itinerary in stellenbosch. 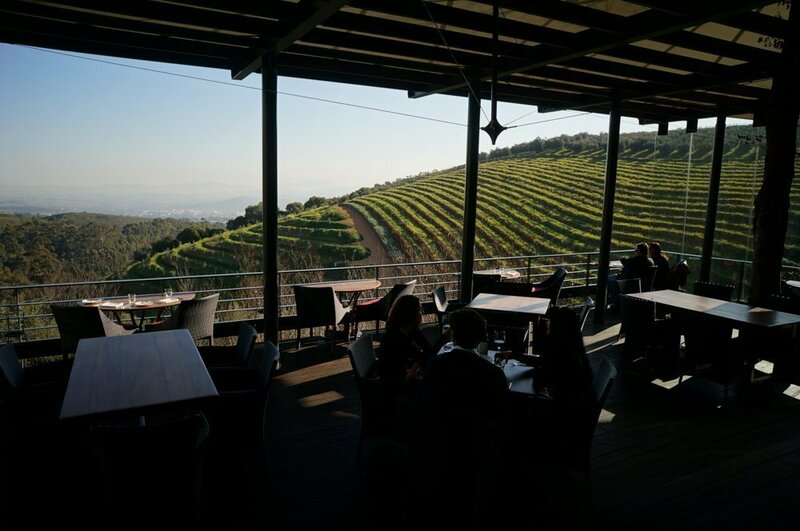 Do you suggest having lunch in waterkloof, tokara or delaire graff estate, also for dinner before checking in at clouds estate? Hi Jan, I would say if you’re staying at Clouds Estate, I would do lunch at either Waterkloof or Jordan wine estate. Delaire and Tokara are right next to Clouds so I think it’d be more interesting to explore another area before heading to Clouds Estate. I recently planned my friends honeymoon in South Africa, and this is the exactly what they did. Enjoy!